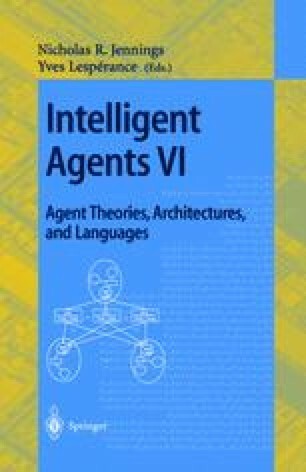 This paper will discuss the internal architecture for an agent framework called DECAF (Distributed Environment Centered Agent Framework). DECAF is a software toolkit for the rapid design, development, and execution of “intelligent” agents to achieve solutions in complex software systems. From a research community perspective, DECAF provides a modular platform for evaluating and disseminating results in agent architectures, including communication, planning, scheduling, execution monitoring, coordination, diagnosis, and learning. From a user/programmer perspective, DECAF distinguishes itself by removing the focus from the underlying components of agent building such as socket creation, message formatting, and agent communication. Instead, users may quickly prototype agent systems by focusing on the domain-specific parts of the problem via a graphical plan editor, reusable generic behaviors , and various supporting middle-agents . This paper will briefly describe the key portions of the DECAF toolkit and as well as some of the internal details of the agent execution framework. While not all of the modules have yet been completely realized, DECAF has already been used for teaching purposes, allowing student teams, initially untutored in agent systems, to quickly build prototype multi-agent information gathering systems. This material is based upon work supported by the National Science Foundation under Grant No. IIS-9812764.